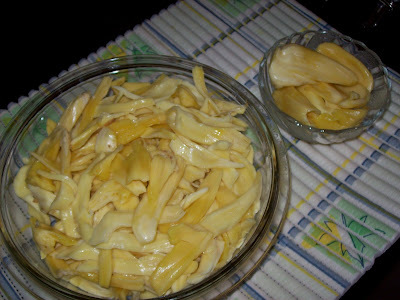 Jackfruits when tender,can be used to make variety of savory dishes and when ripe,can be eaten as a fruit or for preparing a kind of jam called Chakka Varatti. This Chakkavaratti is used as a key ingredient in authentic dishes like Chakka Pradhaman, and Ela Adai . 3. Then grind it to a smooth paste in a blender. 4. 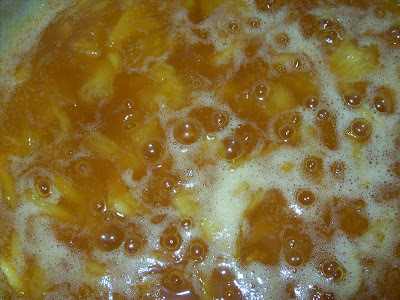 Add jaggery and boil.No need to add water. 6. Stir continuously till it becomes very thick . 7. Add 1 tsp of ghee,whenever it starts to stick,probably in every 15 mts. 9. Allow it to cool naturally and keep it in a dry air-tight container. delicious recipe.nice idea halwa with jack fuit. I have ripe jackfruit in my freezer and was wondering what to do with it. 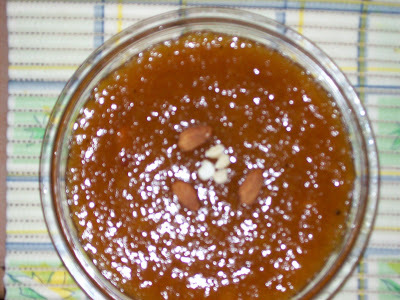 Your delicious halwa recipe solved my problem! All your recipes are mouth watering! Will try soon. Welcome Andhra flavours&pearl to my blog,thanks for the lovely comments..do visitagain.Pearlwaiting to hear from ur side abt the recipe jack fruit halwa ur gonna try. I love this Chakka Varatti. My patti used to make it after vishu. BTW r u from Kerala? ?